My little college town of Athens, Ohio had innumerable options when it came to mouthwatering eats— especially wings. We had Wings Over (Golden BBQ FTW), Buffalo Wild Wings and even Wing Wednesday at The Pigskin. It’s probably a good thing that I’m three and a half hours away from those places now, but that doesn’t mean I don’t occasionally crave them. 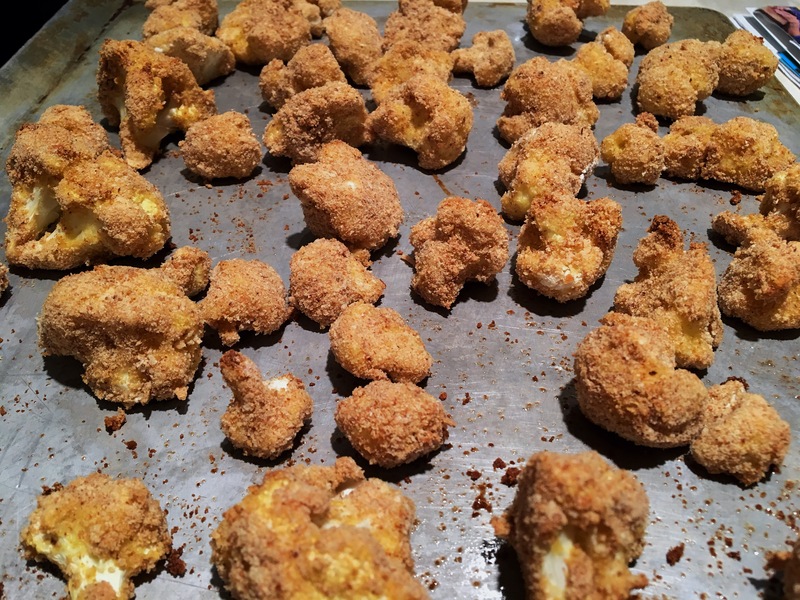 Luckily, I found this “Crack Cauliflower” recipe last year. When I made it for the first time during the Super Bowl, I ate almost the entire batch… and no, I’m not exaggerating. I know there’s nothing like true barbecue chicken wings, but these taste amazingly close to the real deal, thanks to a baked, crunchy texture and yummy sauce. Plus, cauliflower contains tons of fiber, calcium, Vitamin K and Vitamin C (perfect for fighting cold and flu season)! Still not convinced these babies are worth a try? Take it from my 90-year-old British grandma— she asked for more after her first bite. Whip up a batch of Crack Cauliflower for your next movie night or potluck, and if (by rare chance) there are leftovers, pop them in the oven to re-crisp and re-heat. 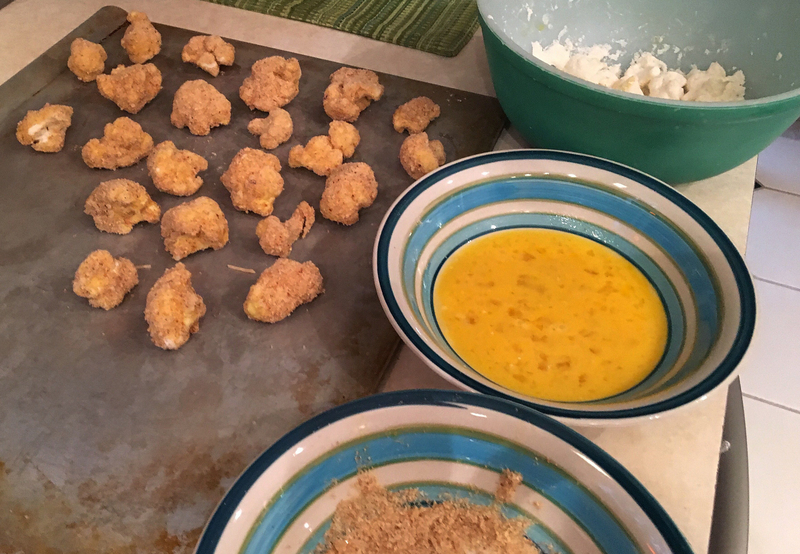 In a large bowl, toss cauliflower with flour until fully coated. Whisk eggs together in one bowl; pour panko into a separate bowl. Grease cookie sheet with cooking spray. One by one, dip florets first in egg mixture (tap off excess), then panko and place on cookie sheet. Sprinkle florets with salt and pepper. Bake until golden brown and crispy, about 25 minutes. In a small saucepan, combine barbecue sauce, brown sugar, lime juice and garlic powder on low heat. 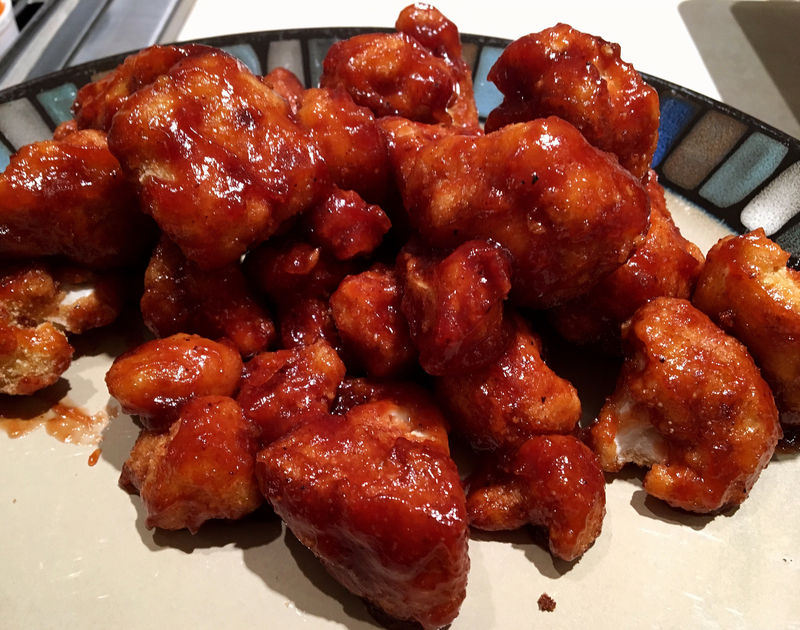 Coat cauliflower in barbecue sauce and serve with ranch, if desired. Hungry for more? Be sure to follow Fit by the Fork on Instagram!